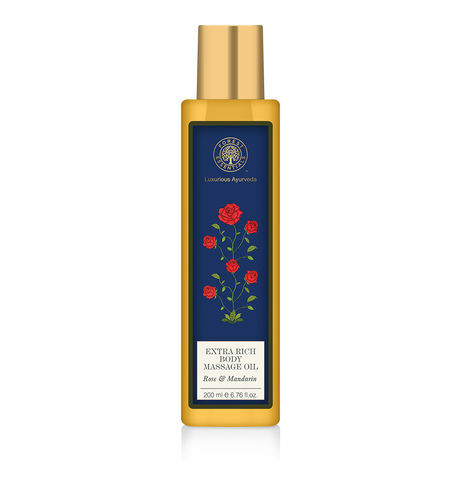 Cold pressed Organic Sweet Almond oil with Bala, Ashwagantha, Rose and Mandarin essential oils, which nourish, firm and tone the skin. These Extra Rich Massage Oils have a base of pure cold pressed unrefined Sweet Almond Oil, which has been naturally processed so that they are nutrient rich. These oils are blended with pure essential oils which add their own special properties. Massage tones, relaxes and nourishes skin and muscle tissue. This flushes toxins from the body and gives lustre to the skin, increasing body heat and circulation. Massage is rejuvenating and preserves youthful qualities.